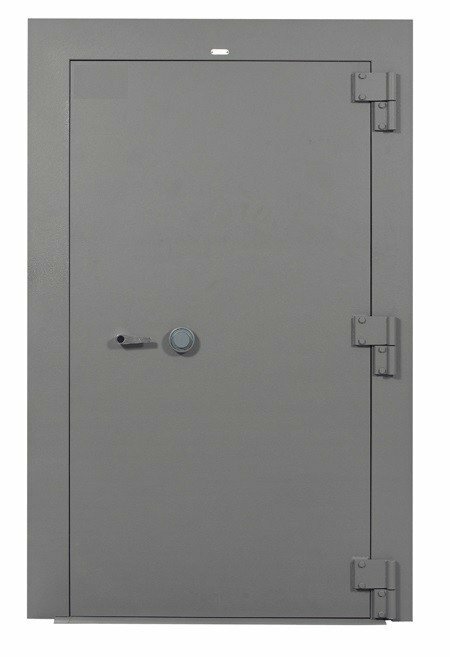 Our Vault Doors are manufactured to meet GSA Approved Class 5 Ratings and in their native form are used by the US Government for the storage of Classified Information as well as items such as weapons, ammunition, narcotics, etc. To gain the required protections against Radiological attack, we equip our ArmorStor MJ7840 door with a mechanical Group 1R Lock which is the gold standard for DEA compliance. Doors are only available in one size, simplifying the decision making process and have a clear opening of 78”H x 40”W. 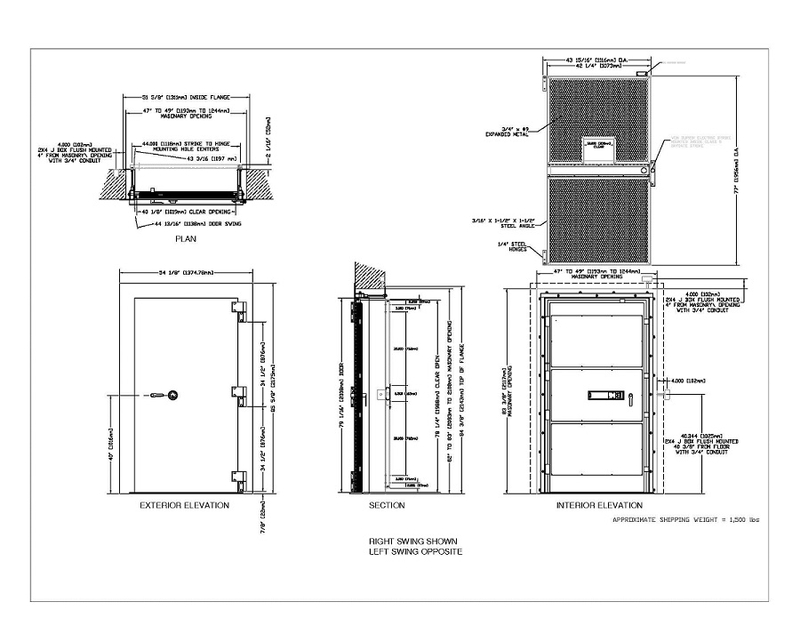 The following drawing details the masonry opening as well. 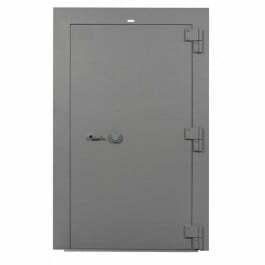 Our Vault Doors are manufactured to meet GSA Approved Class 5 Ratings and in their native form are used by the US Government for the storage of Classified Information as well as items such as weapons, ammunition, narcotics, etc. The sale of the standard doors is restricted however, to only the US Government and Military. GSA now allows us to market the exact same door, without the GSA Approved Label, to the private sector. Vault Door Drawing. Click here for printable version.